In Uzbekistan January 14 is marked as the Day of Defenders of Motherland. 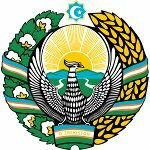 It is the professional holiday of the military men because on 14 January 1992 the Armed Forces of the Republic of Uzbekistan were established. In the Soviet Union February 23 was marked as Soviet Army and Navy Day. Following the fall of the USSR, some former republics of the Soviet Union continued to celebrate it as Defender of the Fatherland Day. But Uzbekistan wasn't one of them. On 29 December 1993 the Uzbek Parliament established the Day of Defenders of Motherland, also known as the Uzbek Army Day to commemorate the anniversary of the establishment of the country's armed forces. The 1992 Law of Defense states that Uzbekistan's military is for defensive purposes only, hence the name of the holiday. This holiday is a public one, it is celebrated nationwide and is observed quite spectacularly. On this day military units in full dress uniform march to the sound of the orchestra. They line up in the main square of Tashkent, the capital of Uzbekistan, and accept congratulations and awards from the president of the country and the minister of defense. Holiday activities also include festive speeches and a wreath laying ceremony.